This patch iron on/sew on,is about 4 in. 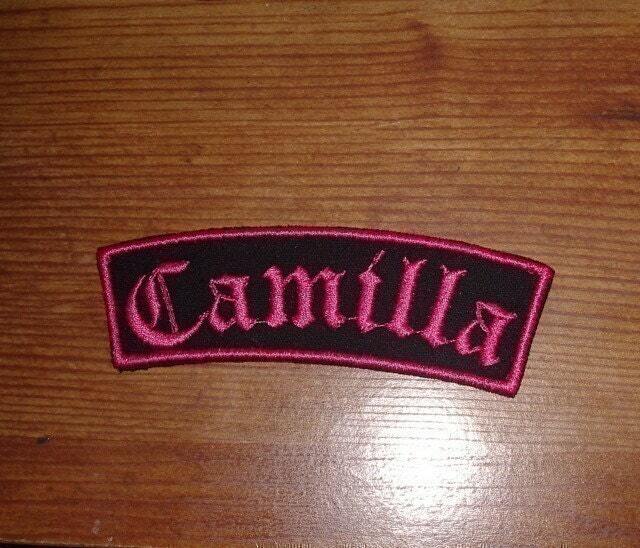 on black with hot pink stitching. For custom patches with more than one word convo me. I have only listed 5 now, for larger orders,convo me I will put up a private sale for your order. You may order different names. Beautiful pieces I'm so excited to use them. It looks beautiful! Thank you.